Quite a mood swing. 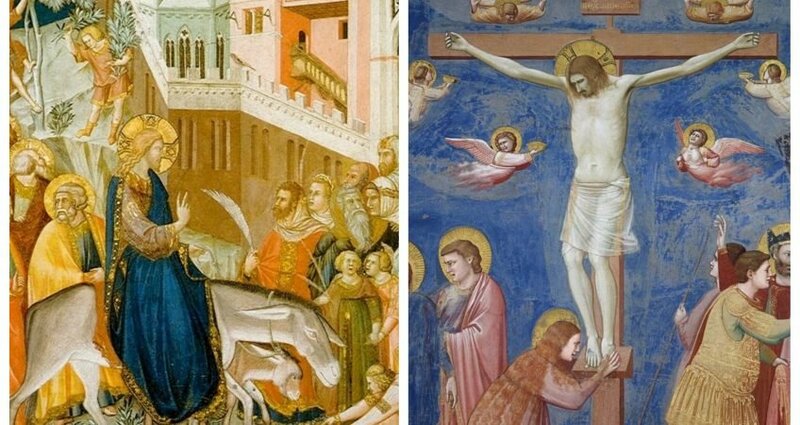 One moment it’s ‘Hosanna, Praise the king’ (Lk 19:28-40), next it’s ‘Crucify him’ (Lk 22:14-23:56). One moment high as a kite, waving palms, singing and dancing, so excitedly the very stones seem to cry out; next it’s down in the dumps, full of anxiety and foreboding, looking for a scapegoat. First, garments are laid before Him to honour Him; then, they’re stripped off Him to humiliate Him. One moment they’re following and committing to die for Him; next, they’re fleeing and denying Him. Israel has all the symptoms of Bipolar Disorder. And which Israel are we? Elation and depression, highs and lows, virtues and vices, beauty and the beast. They are the human condition. Christians are no exception. We love God and we blame God. We are generous and we are stingy. Hopeful and despondent. Caring and hating. Sinners and saints. These things are in us all. Our community, too, is bipolar. There is so much that is so good about it; and so much good it neglects to do also. It still looks to the Church to teach and inspire, heal and care, advocate and liberate; all the while some are seeking that same church’s extinction. The same community that says ‘you can expect nothing good from those guys’ is disillusioned when our Church falters. Palm Sunday is about the tension, even contradiction, in every human heart, every community, even the Church. The tension between the old Adam and the new – both fighting for and within each soul – the Adam of Genesis and the Jesus of the Gospels (cf. 1Cor 15:20-3,45-9; Rom 5:12-21). Of course, both Adams were born without sin. Both had the gifts of intellect, freedom and love. Both were beloved of God. Each modelled the other. Yet in so many ways, Jesus is the inversion of Adam. If the first came from the earth, the second was from heaven. The one acceded to the Devil’s lies, the other resisted such temptations. The former disobeyed God, whereas the latter was obedient, even unto death. Adam took from the tree, for his own ambition, while Jesus gave Himself to the tree, for our sakes. The one put on clothes, to cover his shame; the other shed His, so as to take on our shame. 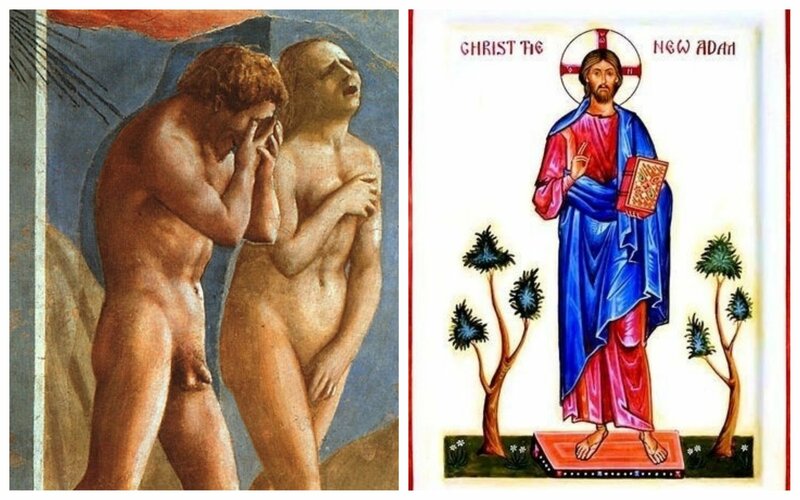 As St Paul taught, sin entered the world through the first Adam, salvation through the second; death through the former, resurrection through the latter. By the first was paradise lost; from the lips of the second we are promised “you will be with me in Paradise”. Such contrasts are unsurprising, given that so much of Christ’s mission overturned ordinary human expectations, moods and priorities. Today we saw this Messiah arrive, not on a glorious steed but a mere colt (Lk 19:28-40); His courtiers, not a select aristocracy, but a multitude of deplorables. This is Isaiah’s suffering servant (Is 50:4-7 etc. ), very different to the kings of the earth. And before He goes to His death, He reminds His disciples that, unlike any earthly politics, the greatest amongst them must act as the least, the leader be the one who serves (Lk 22:14-23:56). Walking with Jesus, we’ve come to expect such inversions of power and expectations… and yet they are forever challenging. Ours is not a culture that valorises forgiveness, self-sacrifice, humility, obedience; no, it rewards indignation, self-serving, power and autonomy. But on Palm Sunday we recall that the One clothed in majesty and splendour assumed our nakedness, weakness, mortality. Only then, as Paul’s hymn celebrates, was He raised up and made Lord of “all beings in the heavens, on earth, and in the underworld”. (Phil 2:6-11). Every year, Palm Sunday – with all its shifts of mood and contrasting humanity – returns to unnerve us, subvert us, challenge us deeply. Whatever our present temper, it opens for us a holy week, in which grace transforms us more and more from the first Adam into the second; a week for stripping off the garments of our sins and laying them at the Lord’s feet; a week to sing with all our voice, “Blessed is He who comes in the name of the Lord. Hosanna in the highest!”. Holy Week offers one more chance for us to plead “Jesus, remember me” and hear those wonderful words of absolution and hope: “Forgive them Father” and “See you in Paradise”.